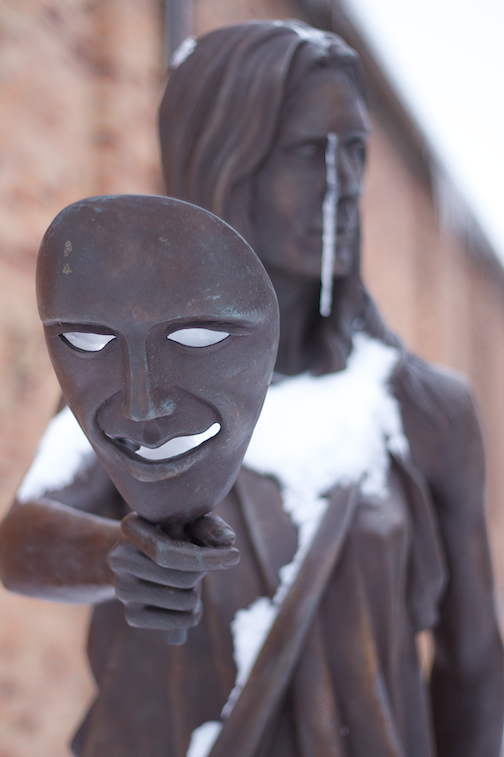 Walking around downtown Jonesville yesterday in the wind and snow, I spotted this interesting statue. An icicle naturally formed on its face. Click the photo to view it large. 50mm, f/2.8, 1/1000, ISO 100.